Chico Sonido is something of a silent godfather to the tribal guarachero scene. 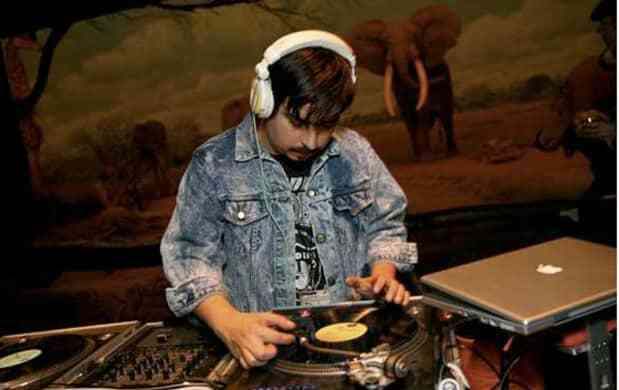 When he lived in Monterrey in the late '90s, he absorbed the classic cumbias he heard everywhere in his neighborhood, La Campana, and pioneered a soundsystem-based DJ style, mixing modern electronic music with cumbia and dancehall. In the early '00s, he began collaborating and producing with his friend Toy Selectah; they released a series of mash-up 12-inches under the name Sistema Local, before Chico moved to Los Angeles to record his solo album (out now digitally). On his 3Ball mix for the FADER, he links his history with the future, mixing new tracks from baby kings Erick Rincon and DJ Sheeqo with his own productions. Get the tracklist after the jump, plus read excerpts of Jace Clayton's interview with Chico, from our tribal guarachero story in FADER #69. Chico Sonido – Don’t U Know I'm Loko? A lot of people know me as a vinyl digger, because some of my mixtapes are full of music that comes from rare and dusty records, and I do sample a lot of records on my productions, especially in my first album, that is for sure one of my passions. But people that know me well know that I have been a pioneer in spreading modern sounds. I have been sort of a tastemaker in Mexico for years, and now in LA too, a lot of people have followed my mixing style. I would mix all styles together before anybody in Mexico—everything I considered dope. I was DJing Daft Punk before anybody cared about it over there, I was DJing Mad Decent, Buraka Som Sistema and MIA in Mexico, way before anybody knew or cared about them. I was never just a crate digger. Also, a lot a lot of high profile acts like Daft Punk, Chemical Brothers, MIA or Diplo sample records in their productions. I make make electronic hip-hop and tropical dance music. I make future music. These kids just blow my mind. I first heard it probably three years ago, but there wasn't much that I liked. Tribal guarachero was in its infancy and it didn't sound the way it does now. There were a few people around the world trying to jump on it then, but really I didn't think the stuff they were finding was that good. It wasn't until the beginning of 2010, when I traveled to Monterrey to perform at a festival, that I decided to look for the tribal sound coming from there. I wanted to find as many CDs of the stuff as I could and get the best of it to make a mixtape that truly represented a Mexican DJ perspective of it. To my surprise the scene was huge in Monterrey and already had a superstar DJ/producer, Erick Rincon. His mixes were the most recommended and bootlegged, I got out of there with like 25 CDs of everything I could find. This was the first time I ever knew or heard about Erick Rincon, and was so amazed by the sound they are developing and the scene that is brewing down there. I also identified with them, because when I was living there I was also trying to make original Mexican future dance music. This is just different times. you know I started producing when I got out of university when I was around 25. These kids are 17 now and they went from playing Nintendo to producing club bangers on Fruity Loops and sharing them all over the world online. They make me feel so proud of the sounds coming from my own country. they have become a big inspiration to me.